Do you often go outside your comfort zone in order to grow in new ways? Do you find new opportunities to grow by reading books, taking courses or listening to podcasts? Are you excited to learn new things? 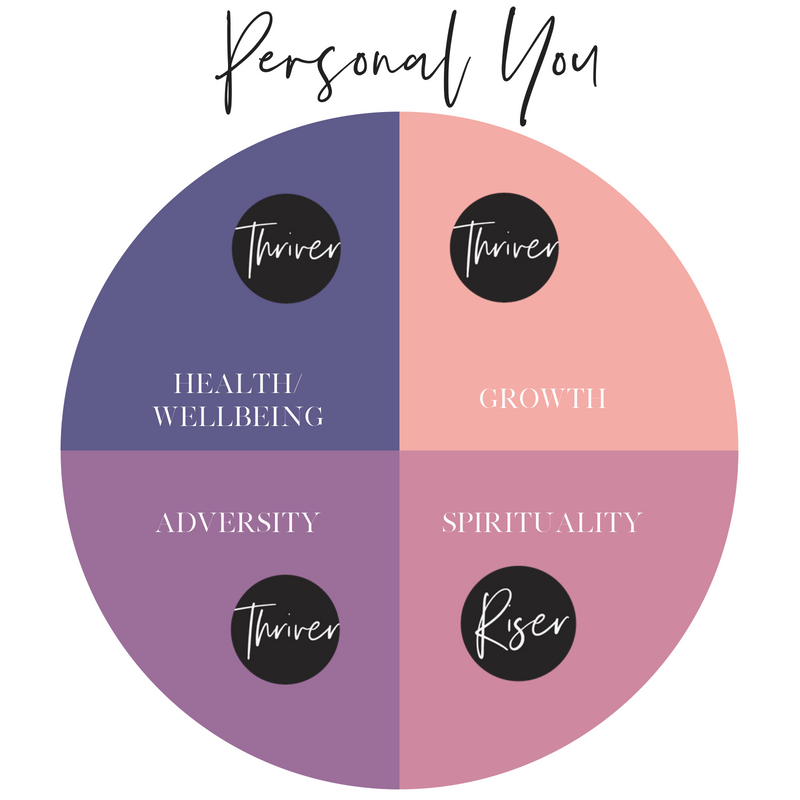 Do you prioritize your health and wellbeing? How often do you feel stressed or depressed? Do you engage in self-care? Do you feel lost or confused about moving forward in your life? Do your moods often feel unpredictable or out of control? Are you searching for clarity, purpose, or meaning in your life? Are you searching for a deeper connection with yourself? Do you feel intentional in your everyday life? Well done on completing your Personal You Assessment. You are now clear on where you are Rising And Thriving within these key areas of your life. Before you move onto your Emotional You Assessment, ensure you write down or download your results. You will need these results to allow you to search for the most relevant growth & development content & resources. Do you have healthy ways of expressing all your emotions? Are you able to let emotions come and go without over-reacting to them? Do you take good care of yourself when you feel challenging emotions? Do your important relationships feel supportive, nurturing and loving? Are you able to express love, compassion and care for others? Do you feel satisfied with the majority of the relationships in your life? Well done on completing your Emotional You Assessment. You are now clear on where you are Rising And Thriving within these key areas of your life. Before you move onto your final Professional You Assessment, ensure you write down or download these results. Do you feel satisfied with the career/business you have? Does your career/business give you meaningful opportunities to learn and grow? Would you be happy to still be working in your chosen career/business 10 years from now? Do you have a sense of who you are as an employee/entrepreneur? Do your social media accounts reflect you accurately? Are you proud of the way you conduct yourself at work/in your business? Are you earning enough to cover your basic living expenses? Do you feel a sense of healthy abundance when it comes to money and wealth? Are you spending (and saving) your money in ways which feel good for you? Well done on completing your Professional You Assessment. Download these results and then follow the steps below to access your Toolkit.